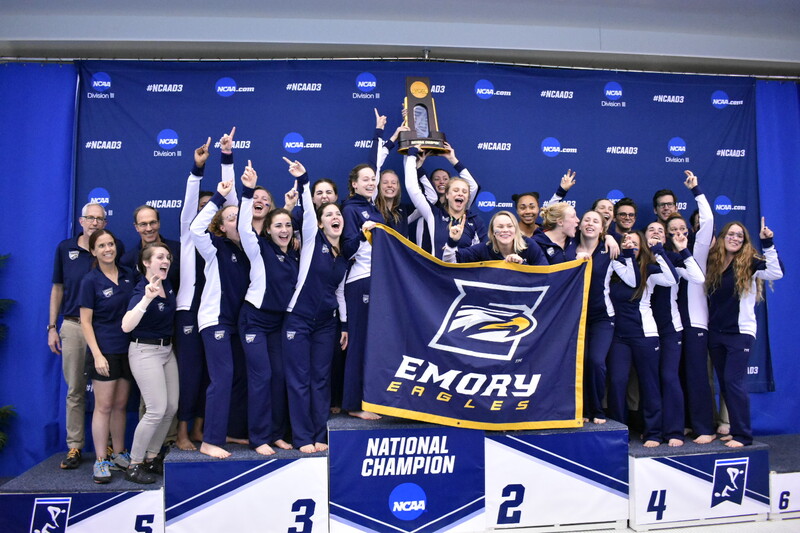 This past weekend, the Emory women’s swimming and diving team captured its 10th consecutive and 12th overall NCAA Division III title while the men’s swimming and diving team finished as the national runner-up for the second consecutive year. Both the women’s and men’s teams came down to the wire, with the Eagles edging out Kenyon College (Ohio) in both competitions for second place in the men’s and first place in the women’s championship. In the women’s competition, the title came down to the final two events. Kenyon grabbed the lead in the third-to-last event after beating the Eagles in the 200-yard backstroke. However, the Eagles would not be denied and regained the lead with a strong performance by senior Ashley Daniels in the 200-yard breaststroke. With one race left and the title up for grabs, seniors Fiona Muir, Meg Taylor, sophomore Lucy Daro and freshman Zoe Walker finished runner-up in the 400-yard freestyle relay to seal the victory. 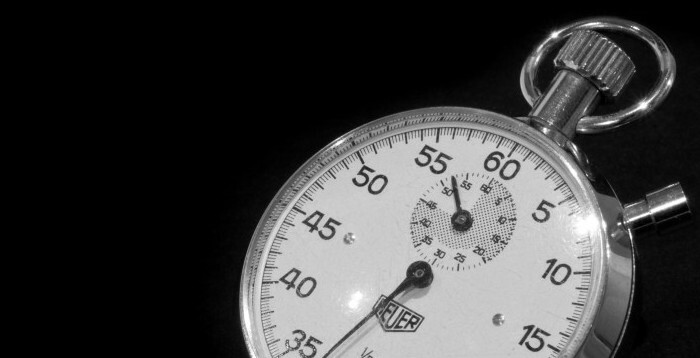 In total, Emory collected 488 team points across the four-day meet, edging second-place Kenyon by only nine points. This was the narrowest victory margin in the 37 years that the NCAA Division III women’s national tournament has existed. Individually, Muir stood out for her first-place finish in the 100-yard freestyle. The win also marked Muir’s third consecutive title in the event and the fifth overall for her career. The men’s team also came from behind to surpass Kenyon by a margin of just half a point, as they finished first in three of the final six events. Senior team captain Trey Kolleck was confident throughout the meet. “During the first three days, we shaved off 100 points, and I knew that we were definitely going to beat them,” he said. The Eagles’ second-place finish behind Denison University (Ohio) marks the fourth consecutive year that they have finished within the top three at the national meet. The comeback began when senior Thomas Gordon defended his 1,650-yard freestyle championship, marking his second individual championship of the meet after he won gold in the 500-yard freestyle on March 20. Kolleck kept up the momentum by winning the first-ever individual national title of his career in the 100-yard freestyle with a time of 43.3 seconds. Completing the comeback was freshman Jason Hamilton, who also earned his first-ever individual title by winning the 200-yard breaststroke in 1:57.34. With a small lead going into the final event, the Eagles finished as national runner-up in the final event of the meet, the 400-yard freestyle relay, to beat Kenyon in the individual event and the championship meet. Next year, the Emory women’s team will attempt to earn their 11th straight national championship, while the men seek their second title in four years. Ultimately, both teams have the pieces in place to accomplish their goal, as many swimmers will return to compete. The Emory men’s and women’s swimming and diving teams finished in fourth and fifth place, respectively, at the Midwest Invitational held from Feb. 22 to 23 at the University of Chicago. The invitational served as a last-chance opportunity for some swimmers to qualify for the NCAA Championships held on March 20 to 23 in Greensboro, N.C. Nine Division-III colleges competed in the invitational. Freshman swimmer Pat Pema received NCAA qualifying times in the 200-yard IM (1:51.26) and 200-yard backstroke (1:49.13), winning both races. Freshman swimmers Will Schuler and Will O’Daffer won the 500-yard freestyle (4:32.65) and 400-yard IM (3:57.02), respectively. Both times qualified as NCAA B Cuts. On the women’s side, senior swimmer Anya Kone won the 200-yard IM (2:05.77) and 100-yard backstroke (57.68), making the NCAA B Cut in both events. 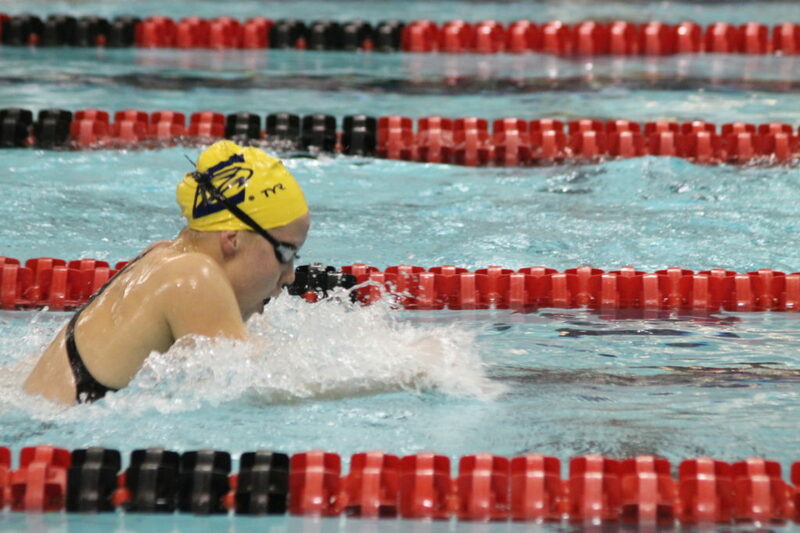 Freshman swimmer Allie Dixon won the 200-yard butterfly (2:03.33). Senior swimmer Fiona Muir, who was named University Athletic Association Swimmer of the Year, told the Wheel last week that her team is now preparing for the NCAA Championships next month. Divers will compete at the NCAA Diving Regionals in Grinnell, Iowa, from March 1 to 2. The Emory men’s and women’s swimming and diving teams prevailed in the University Athletic Association (UAA) championship for the 21st consecutive year at a four-day meet held at the University of Chicago from Feb. 13 to 16. The men’s team received 1,848 total points and the women’s team received 1,943 points. They placed 393 and 458 points above second place, respectively. 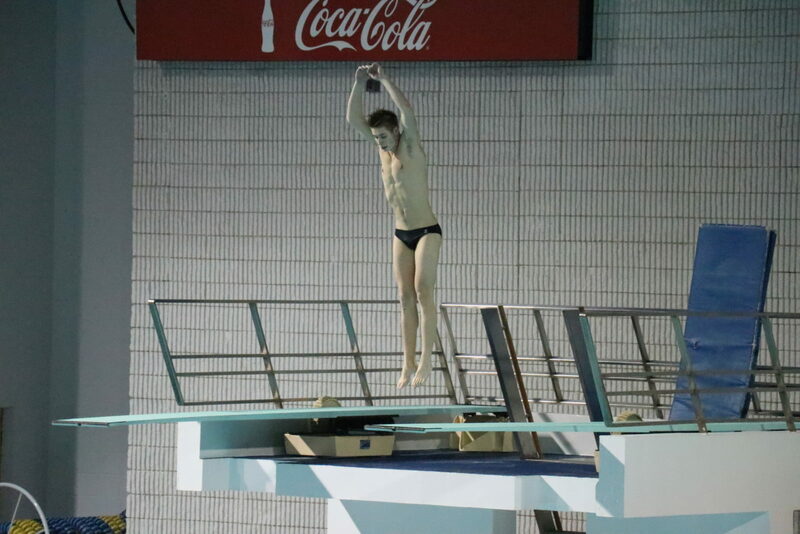 Freshman diver Lucas Bumgarner (22C) won the UAA Diver of the Year award. 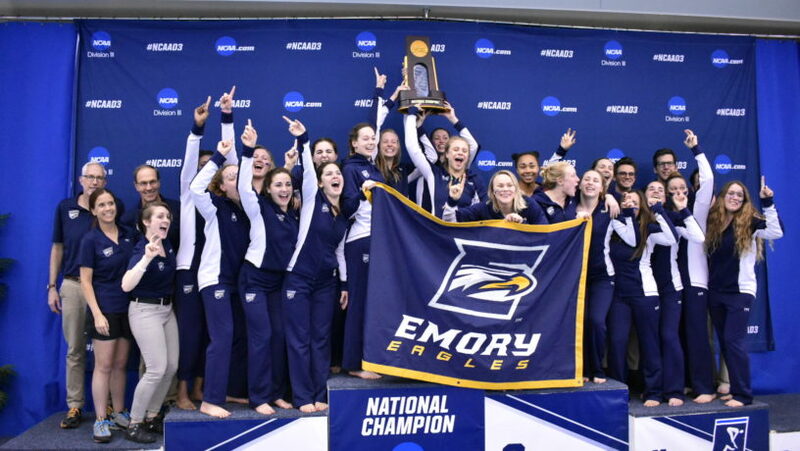 The last time an Emory diver won the title was in 2011. Senior swimmer Fiona Muir was named UAA Swimmer of the Year and set a UAA record for her 100-yard freestyle time of 50.12. Muir is the first UAA female athlete to win the 100-yard freestyle at the championship meet for four consecutive years. She was also a part of four relay teams that won titles: the 400-yard medley (3:44.97), 200-yard freestyle (1:33.04), 800-yard freestyle (7:27.54) and 400-yard freestyle (3:23.27). Head Coach Jon Howell and his staff were named UAA’s Coaching Staff of the Year. This year marks the fifth time Howell has received the award for the men’s team and 11th time for the women’s team. Swimmers are still awaiting results from other conferences to determine who will advance to the NCAA Championships on March 20 to 23 in Greensboro, N.C. At least 12 male swimmers will advance to the Championships, senior swimmer Trey Kolleck said. Divers will compete in the NCAA Region Two Diving Championships on March 1 to 2 at Grinnell College (Iowa). On the men’s side, in the 100-yard freestyle, Kolleck recorded a finals time of 44.70 and set a new UAA standard in the preliminary race with a time of 44.30. Kolleck, senior Alex Kohlman, junior Sage Ono and freshman Colin LaFave won the 400-yard freestyle relay (2:59.83). Muir said her team is now preparing for the NCAA Championships. The Emory men’s and women’s swimming and diving teams failed to rise to the challenge against the University of Georgia Bulldogs in a Feb. 2 dual meet. The Bulldogs defeated the men’s team 166.5-117.5 and the women’s team 167-93. Despite the losses, the Eagle’s weekend was still marked with some stellar performances. On the men’s side, senior Thomas Gordon swam a season-best time of 15:29.49 in the 1,650-meter freestyle. 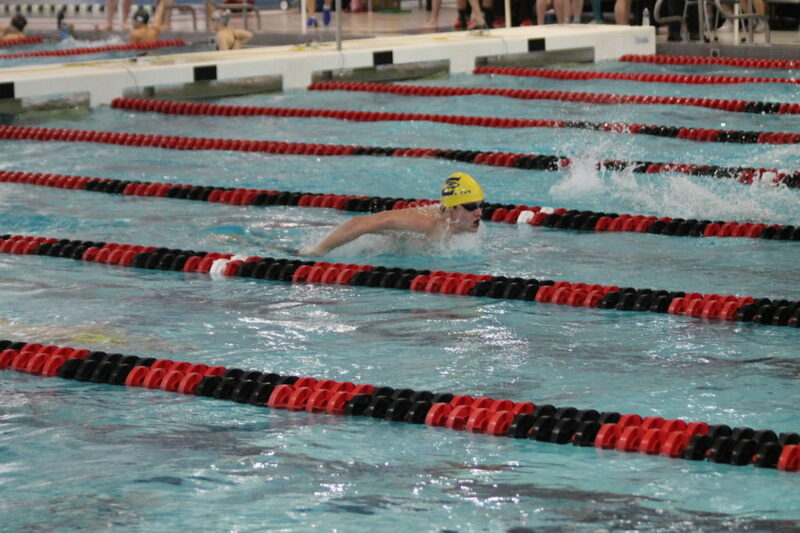 Senior Trey Kolleck finished third in both the 50-yard freestyle (20.60) and the 100-yard freestyle (45.30). Kolleck also led freshmen Colin LaFave, Tyler Russell and Hwa Min Sim to a third-place finish in the 200-yard medley relay (1:31.67). Russell also placed second in the 100-yard breaststroke with a time of 58.47. Other top finishes included a third-place in the 200-yard breaststroke (2:10.63) by freshman Zach Lorson, a third-place in the 200-yard individual medley (1:55.97) by senior Zachary Chen and a joint effort second-place by Kolleck, LaFave, senior Matt Rogers and junior Sage Ono in the 200-yard freestyle relay (1:23.16). Junior Trevor Burke and freshmen Lucas Bumgarner and Colin Stelmach all recorded NCAA qualifying marks in the 1-meter and 3-meter diving events. 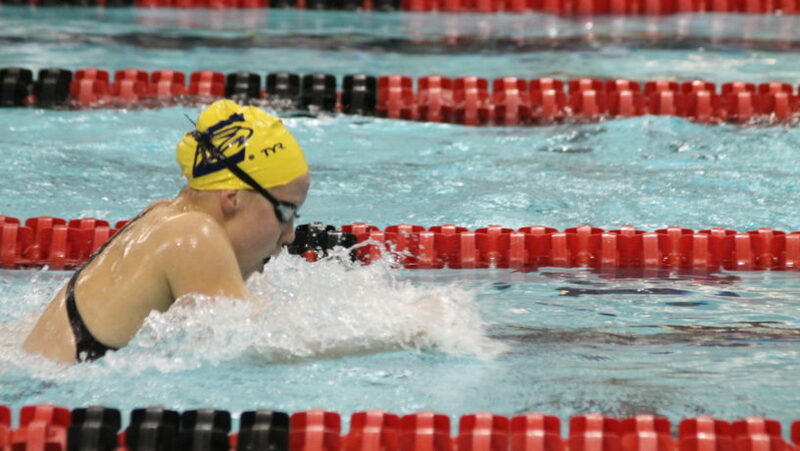 In the women’s events, senior Meg Taylor placed third in the 50-yard freestyle with a time of 24.20. Taylor also teamed up with senior Fiona Muir, sophomore Lucy Daro and junior Caroline Olson for a second-place finish in the 200-yard freestyle relay, touching the wall at 1:36.56. Finally, freshman Clio Hancock finished third and turned in a national-qualifying mark in the 200-yard butterfly (2:05.62). Head Coach Jon Howell knew the meet was going to be challenging, but he recognized that facing a tough opponent such as UGA would be valuable experience. Although Emory did not come out on top, they certainly had an impressive showing. The Eagles will return to the pool on Friday against Auburn University (Ala.). The Emory women’s swimming and diving team saw mixed results on Jan. 19, defeating the University of West Florida but losing to Delta State University (Miss.) in a tri-meet. Delta State also outswam Emory’s men’s swimming and diving team in a dual meet in Pensacola, Fla. The women’s team recorded 15 top-three finishes in the meet, surpassing the University of West Florida 189-105. Delta State defeated the women’s team 172-125 and the men’s team 160-140. The men’s team nonetheless secured 25 top-three finishes. Senior Fiona Muir logged two wins for the Eagles, placing first in the 50-yard freestyle with a time of 24.59 and as part of the 200-yard freestyle relay, which also included senior Meg Taylor and sophomores Lucy Daro and Christy Taylor. Freshman Clio Hancock secured another win for the women’s team in the 400-yard individual medley (IM) with a time of 4:32.79 with senior teammate Julia Durmer close behind at second place with a time of 4:32.93. On the men’s side, freshman Zach Lorson won both the 1,000-yard freestyle and 400-yard IM. Sophomore Kellen Stillman, senior Trey Kolleck and freshman Lucas Bumgarner won the 200-yard freestyle, 100-yard freestyle and one meter dive, respectively. Two of the men’s relay teams earned second place, one of which Kolleck anchored. Lorson said that although the teams lost to Delta State, the meet presented good opportunities for in-season swims as the team switches to more pace work this past week. “Since we have our championship meets soon, you’re trying to get into that mindset of being ready to get up and go fast which this meet also helped a lot with,” Lorson said. The Eagles will gear up for their senior day and another dual meet on Jan. 26 against Centre College (Ky.) at Emory. Freshman swimmer Clio Hancock races at the Denison Invitational, held between Nov. 29 and Dec. 1. Hancock won the 400-yard individual medley at the invitational. Freshman Zach Lorson races at the Denison Invitational on Nov. 30. Lorson was named the UAA Athlete of the Week on Dec. 3 for his performance at the invitational. The Emory men’s and women’s swimming and diving teams kicked off the Denison Invitational at Denison University (Ohio) from Nov. 29 to Dec. 1, finishing second and third, respectively. On the men’s side, the Eagles recorded six event wins, 40 NCAA B cuts and one school record over the three days, finishing second overall with 1,872 points, behind No. 1 Denison with 2,936 points. On the first day of competition, the Eagles totaled five top-four finishes and 13 NCAA B cuts. Senior Trey Kolleck finished second in the 50-yard freestyle with an NCAA cut time of 20.18. Kolleck, along with junior Sage Ono, senior Zachary Chen and freshman Colin LaFave earned silver in the 200-yard freestyle relay with a time of 1:20.63. On the second day, the Eagles compiled three event wins, including first-place finishes by freshmen Lucas Bumgarner and Zach Lorson in the one-meter diving with a score of 288.55 and 400-yard IM with a school record time of 3:51.86, respectively. The final win of the day came from Kolleck, senior Alex Kohlman, junior Connor McCourt and sophomore Kellen Stillman in the 800-yard freestyle relay with a time of 6:38.59. In the final day of competition, the Eagles secured three more event wins. Bumgarner scored 275.95 in the three-meter diving, freshman Jason Hamilton touched first in the 200-yard breaststroke and Kolleck received top honors in the 100-yard freestyle with a qualifying time of 44:09. On the women’s side, the Eagles earned eight event wins and 36 NCAA B cut times over the three-day meet, finishing third with 1,704 points, trailing No. 2 Eastern Michigan University with 2,046 points and front-runner Denison with 2,479 points. On the first day of competition, senior Fiona Muir secured Emory’s only event win in the 50-yard freestyle with an NCAA-qualifying time of 22.98. The team racked up plenty of B cuts, including both the 200-yard freestyle relay and 400-yard medley relay. On the second day, the Eagles picked up the pace, winning four of the seven events. Individual event wins included Muir in the 200-yard freestyle, sophomore Lucy Daro in the 100-yard butterfly and freshman Clio Hancock in the 400-yard individual medley (IM). The Eagles, maintaining third position throughout the first two days of the competition, could not move up the ranks, and finished the final day at Denison in third place. “To finish the 100 free and see Emory with the first three finishes was amazing and could not be more of a testament to all of the training we have been putting in for races like those,” Muir said of the team’s performance. More exceptional individual performances came from Muir with a 49.50 win in the 100-yard freestyle and junior Maria Turcanu with a 2:02.22 win in the 200-yard butterfly. Additionally, Muir and Daro, along with seniors Hannah Lally and Meg Taylor, secured the first-place finish in the 400-yard freestyle relay. “We’ve been training really hard this semester, so I was just focusing on my technique and finishing the race strong,” Turcanu added. The Eagles return to action after winter break on Jan. 11 at Florida Southern College.